In 2011 Alejandro González Iñárritu signed on to direct “The Revenant” with Leonardo DiCaprio in the lead role. Development process for the film began as far back as 2001 when Akiva Goldsman purchased Michael Punke’s manuscript with the intent of producing the film. Punke’s novel, of the same name, came out in 2003 and was based on the life of frontiersman Hugh Glass. The story follows Hugh Glass, a fur trapper who is mauled by a bear while hunting. His companions (played by Tom Hardy, Will Poulter, Lukas Haas, and Domhnall Gleeson) rob him and leave him to die, but he survives and sets out for revenge. Earlier this year when all of the momentum suddenly shifted from “Boyhood” to “Birdman,” it was easy to see that “The Revenant” might be a big Oscar film in 2016. 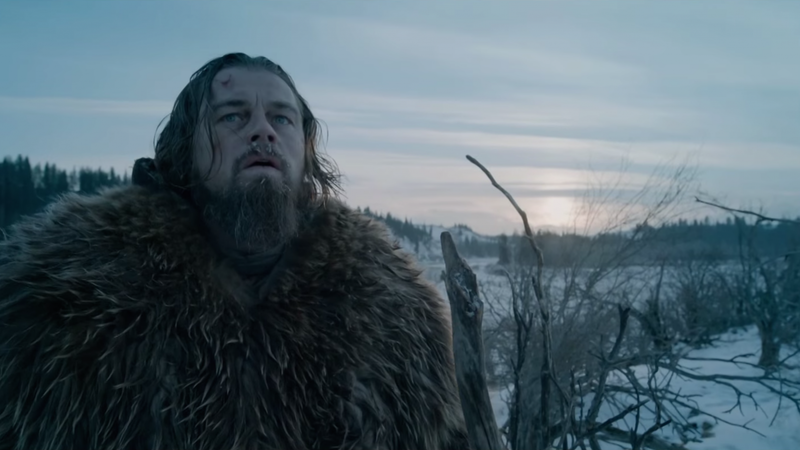 Iñárritu, Lubezki, Dicaprio – all of this sounds great. It sounds amazing. There has always been so much going for this film. Later into 2015, however, there were several reports of weather conditions complicating production, including rumors about some of the case and Iñárritu not getting along. From the start of production in April it was a goal to shoot the entire film using natural lighting. If anyone was going to pull off this ambitious technique it would be Lubezki. This only added to the complications during the filmmaking process. After the release of this impressive teaser trailer, it is pretty clear that the trials and tribulations that created “The Revenant” were not in vain. It looks downright gorgeous. With its December 25th limited release date, it is certain it will be a factor this coming award season. Many prognosticators also believe this might be one of DiCaprio’s best chances at finally taking home an Oscar. – The experience and ambition of Iñárritu and Lubezki. – Strong cast including DiCaprio seeking an Oscar win and Hardy in a baity supporting role seeking his first Oscar nomination. – Prime release date for award season. 20th Century Fox shows a lot of confidence in the film. -Production Problems. Sometimes the drama that happens in production doesn’t translate to the final product, hopefully that is the case. – Film could have potentially been rushed. Iñárritu seems like the kind of auteur who would forgo the pressures by a production company to release his film in the midst of award season if his film wasn’t ready. Considering though that him, and his cast/crew were quite busy last award season, then had to deal with logistical problems with the natural lighting and weather. It wouldn’t be out-of-the-box if production was rushed.